This is a three-part series about multilevel-marketing firms. 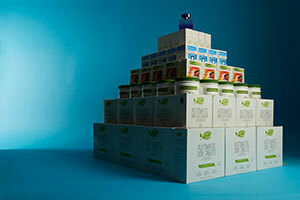 The first, about Vemma Nutrition, investigates the company’s practice of targeting young recruits. TEMPE, Ariz. — The odds were stacked against the waifish 19-year-old from Phoenix. 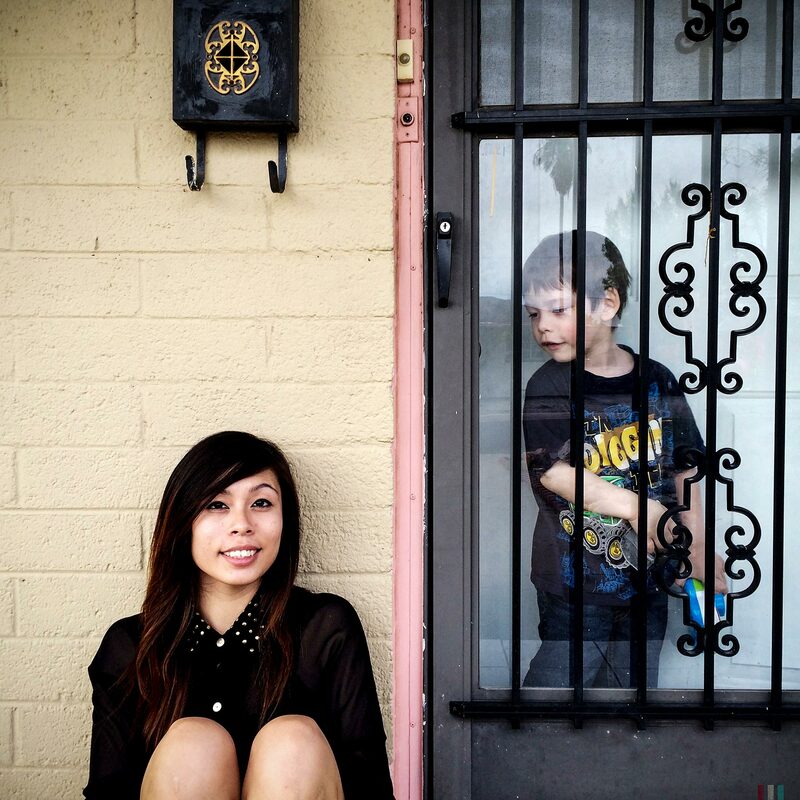 Born to Vietnamese emigrants, Lena Nguyen was pregnant at 14, bounced around four high schools and multiple part-time jobs and grappled with decreasing self-esteem in the face of her parents’ growing disapproval. So when her friend Chris Castro told her he had stumbled upon work that would catapult him out of the minimum-wage misery of Chipotle, Nguyen was intrigued. They had dated for a spell and she had never seen him this excited before. Castro, it turned out, had joined the Vemma Nutrition Company. A multilevel marketing firm, it relies on independent salespeople, or affiliates, to buy its products — energy drinks, diet shakes and supplements — and then sell them by word of mouth. Along the way, they recruit additional salespeople. Think Herbalife meets Red Bull. A few years ago, Vemma rebranded itself specifically to appeal to younger consumers. Now, with its sleek marketing materials and social media savvy, the company purports to offer tangible solutions to the challenges of a sluggish economy, tenuous job prospects and mounting student-loan debt facing many young people. Vemma’s massive headquarters in Tempe is decorated with flat-screen TVs, pingpong tables, bright orange furniture, blue lights and blown-up images of gorgeous men and scantily clad women lounging over motorcycles. But the most tantalizing advertisements for the company are the attractive young men and women who travel across the United States and around the world as brand ambassadors, driving BMWs and Mercedes and recruiting others to join them on the fast track to wealth. "All I hear (from Vemma) are success stories but I haven’t seen it with my own two eyes." 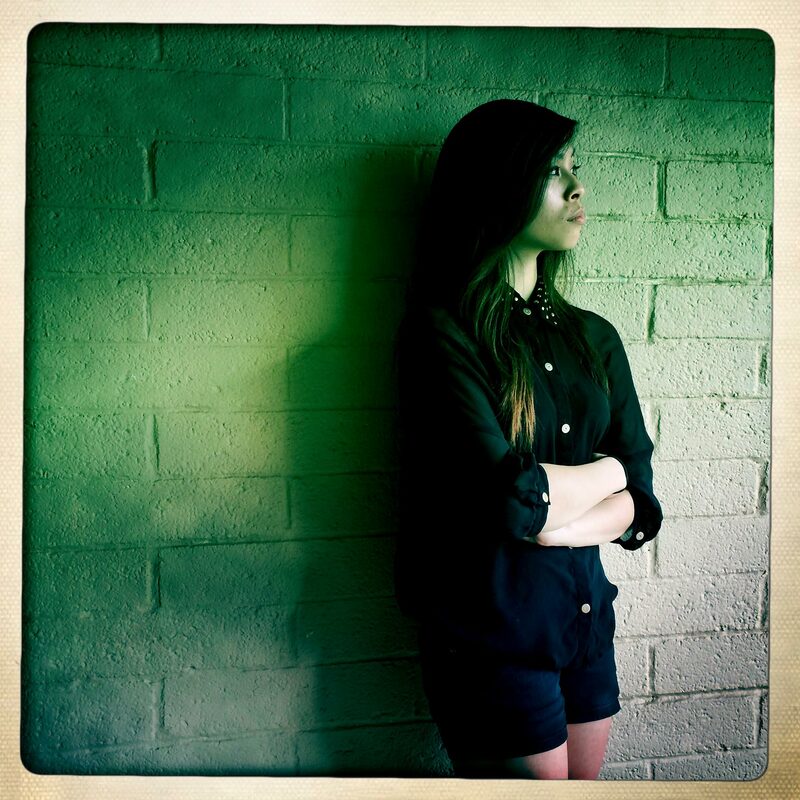 Although Nguyen remained skeptical about Vemma, she promised to try it out for a year, signing up in late July. But she didn’t have enough money to pay for the $500 Affiliate Starter Pack, which she would need to qualify for the tempting car bonus Vemma promises some of the affiliates who have climbed the ranks and reached the Diamond level. All Nguyen was able to scrounge together was $150. By signing up under Castro, she had become part of his "downline"; as her "upline," he stands to profit from a portion of Nguyen’s sales and recruitment efforts. Immediately after joining, she began to pitch her friends and acquaintances to join the company, hoping to recoup her costs and build her own downline. Vemma seemed to offer the things she desperately wanted: a sense of community and financial autonomy. She dreamed of going to college without having to rely on student loans. She had been told her son might inherit her student loan debt and she didn’t want to take that chance. Only, making money through Vemma proved to be harder than Nguyen had expected. 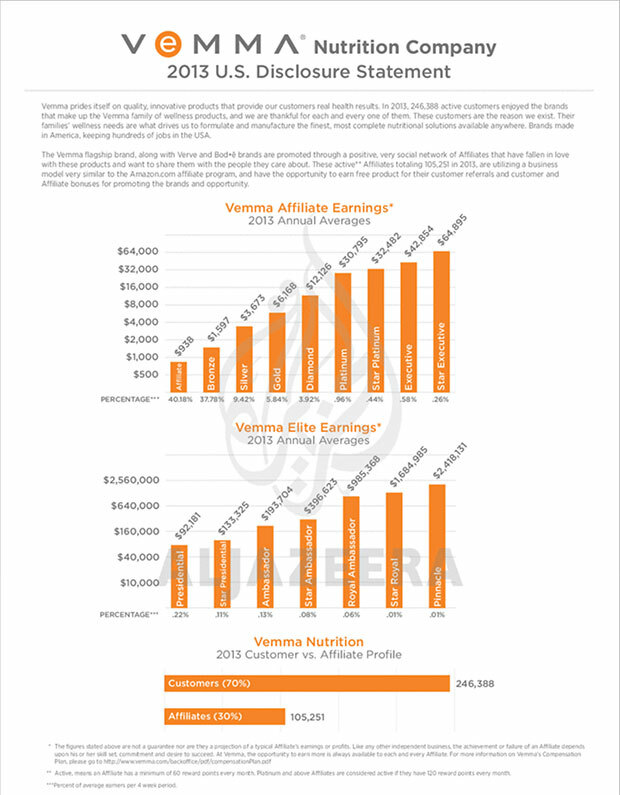 Conspicuously absent from the brand ambassadors’ sales pitch was the fact that while the company raked in millions of dollars, turning a select handful of those at the top into millionaires, 97 percent of those who joined the company averaged less than $13,000 per year, according to Vemma’s 2013 income-disclosure statement. Nguyen has tried talking to her co-workers at her day job at a local amusement park about joining the company, but most of them blow her off, she says, telling her it’s a pyramid scheme. That’s a sign of the fading influence of Vemma. In 2012, Arizona State University was instrumental in marketing the group to students and launching the "Young People Revolution," also known as the YPR movement, but times have changed. Most of the students in Phoenix, Scottsdale and Tempe questioned by Al Jazeera America said they had heard of the company, immediately identifying it as a pyramid scheme. Nguyen is moving in the opposite direction, it seems. Before she joined, she thought Vemma "was a scam...All I hear [from Vemma] are success stories, but I haven’t seen it with my own two eyes." But now she’s trying to save up to buy the $500 pack that would qualify her to win a car. This shows 2013 earnings for affiliates at different levels of the organization. Ninety-seven percent of those involved averaged less than $13,000 per year. Click to view document. In late August, Nguyen attended a meeting with about 15 young men and women in a sparsely furnished, dimly lit apartment in a Scottsdale housing complex next to a trailer park. Rap music blared from a huge flat-screened TV. The group was meeting to strategize about increasing recruitment and expanding the company’s presence in the Phoenix area. Brad Alkazin, a 28-year-old brand ambassador, flew in from Louisiana to motivate the team. He is said to be the company’s second-highest earner, making $50,000 per month recruiting kids, selling product and delivering talks like this one. A charismatic salesman, Alkazin frequently shows up at meetings with an attractive woman on his arm. The new affiliates have been trained to invite friends to recruitment meetings without mentioning the company’s name: No advance warning means no chance for a newcomer to research the company beforehand. They were instructed to avoid answering questions themselves by keeping their pitch short, a couple minutes or less on the phone. The guests they are pressed to bring are called "prospects" and are meant to be dazzled by high-ranking affiliates like Alkazin who talk about earning six-figure incomes and pull up to meetings in BMWs with company logos splayed across the side. 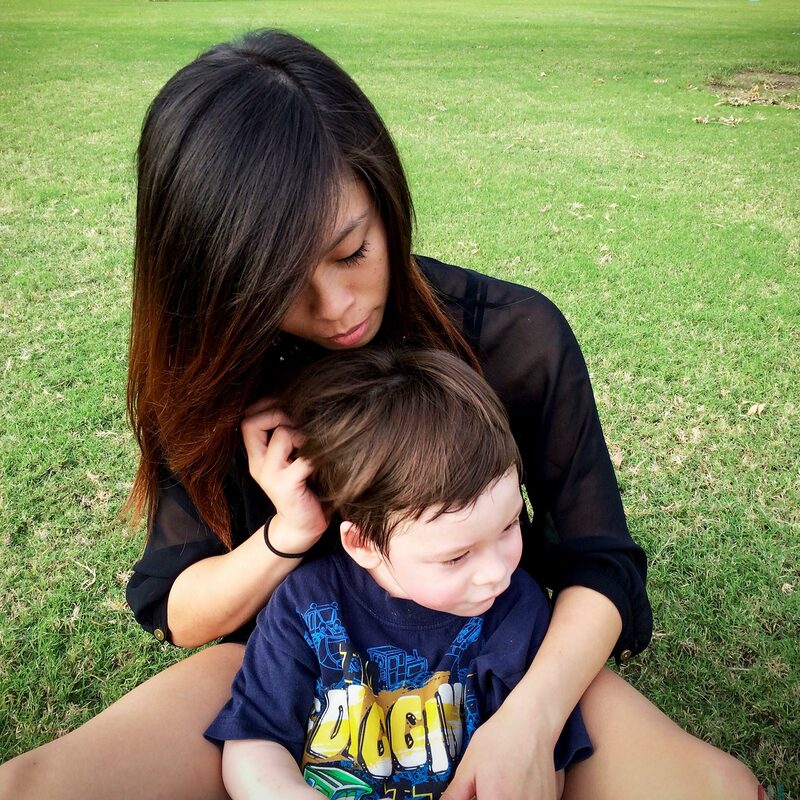 Nguyen arrived with a recruit she had signed on three days prior and his 17-year-old girlfriend. The trio slunk through the living room, full of teens with braces and acne. One wore a Coronado High School badge around his neck. The parents of Vemma’s youngest affiliates are angry. They report that the company is targeting their kids in high school. 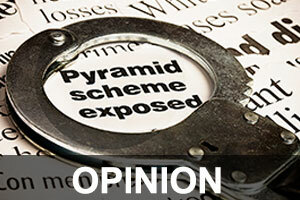 On July 4, 2013, one parent reported his suspicions that the company was a pyramid scheme to the FTC and said "his son and friends were told by the rep that they should not tell their parents because their parents will tell them [it is] a scam." Vemma’s CEO and founder, Benson Keith "BK" Boreyko, insists that Vemma is not a pyramid scheme and that the same charge could be leveled at "any corporation in America… [which are all ] shaped like a pyramid. It doesn’t mean its illegal." In September 2013, under pressure from angry parents and concerned schoolteachers, the company raised the age of enrollment to 18. (Previously, it had allowed kids as young as 14 to sign up as affiliates with parental consent.) But any minor who had joined prior to the policy change would be grandfathered in. "It got to the point where it’s not worth it," says Boreyko of the parental complaints. As recently as July, however, a top earner, Alex Morton, congratulated a minor who was said to have reached the bronze level at a company-led training session in Hilliard, Ohio. "Hats off to this 14-year-old," Morton said to the boy wearing a red jersey in the front row, just before he instructed the group to bring their friends to the next recruitment meeting. "Keep it short, keep it simple, keep it stupid," he said. Although numerous complaints have been filed against Vemma through consumer-protection agencies like the FTC and the Better Business Bureau, former affiliates rarely take their grievances to court. In order to become an affiliate, kids must sign an agreement promising to never speak out against the company or anyone involved in the company and agreeing not to bring a class-action lawsuit. Still, dozens of lawsuits from other parties such as vendors have been levied against Vemma and the company’s predecessor, New Vision International, Inc. In 2010, the nonprofit public-health watchdog Environmental Research Center filed a lawsuit against the company, alleging that it had violated California’s Health and Safety Code by manufacturing and distributing products containing lead since 2007. A 2012 ruling in the case called for a label on products that are found to contain more than 0.5 micrograms of lead, warning that the chemical is known to cause "birth defects or other reproductive harm," and for a label on certain products warning that they are known to cause cancer if they contain more than 15 micrograms of lead. 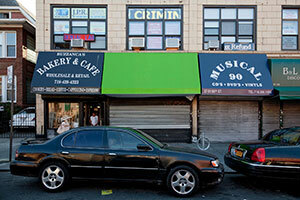 The company also paid $90,000 and discontinued the distribution and sale of one of its products. But although Vemma agreed to submit products for lead testing and use warning labels, the company found itself in trouble just months later with the Federal Drug Administration for violating regulations. The agency’s inspection showed that the company did not investigate consumer health complaints detailing severe allergic reactions (hives, rashes), diarrhea, vomiting, swollen joints, liver problems, headaches, heart palpitations, high blood pressure and hospitalizations. Vemma CEO and founder, Benson Keith "BK" Boreyko, made 7,500 times more than three-quarters of Vemma affliates last year. 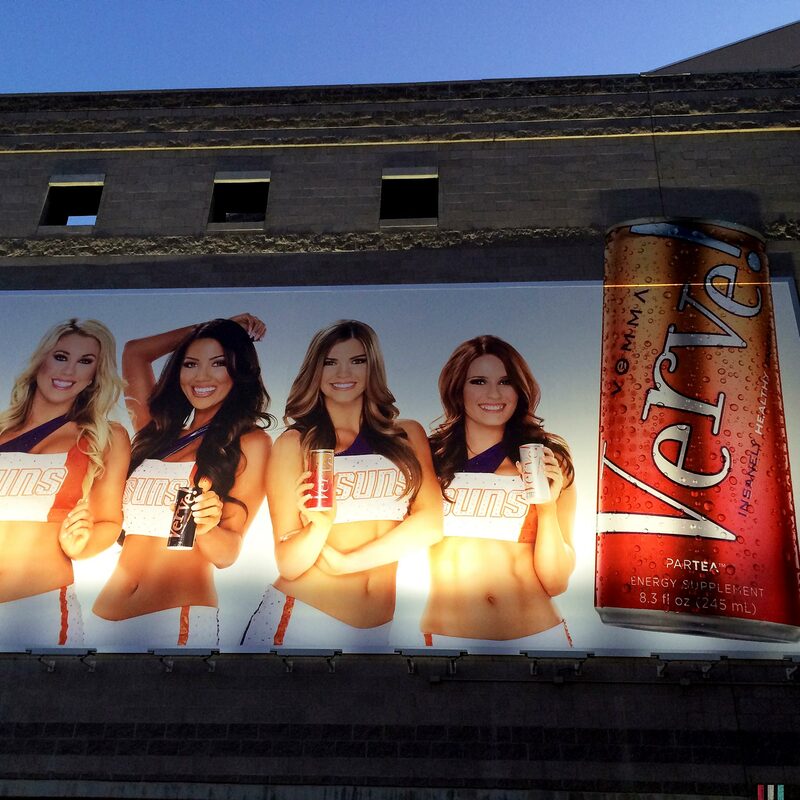 (Photo courtesy of Vemma) Read more. On the rare occasion that affiliates dare to speak out against the company, they often go to great lengths to hide their real identities. One former affiliate who joined in 2012 started an anonymous blog in May 2013 called YPR Pariah about the company’s deceptive practices. He called himself "the Revanchist," referring to the French word for one who seeks revenge. A little over a year later, he said his Twitter and email accounts had been hacked. He had also noticed attempts to trace his IP address and said he received many threats from people in the company who were determined to silence him. "It’s making me have to watch my back," he says. By the time he left Vemma in 2013, the Revanchist had built up a substantial downline of close to 300 people. Still, a good month yielded only $1,000 — not much, considering how much his downline brought in, but, he says wryly, "the younger you are, the easier you are to impress." 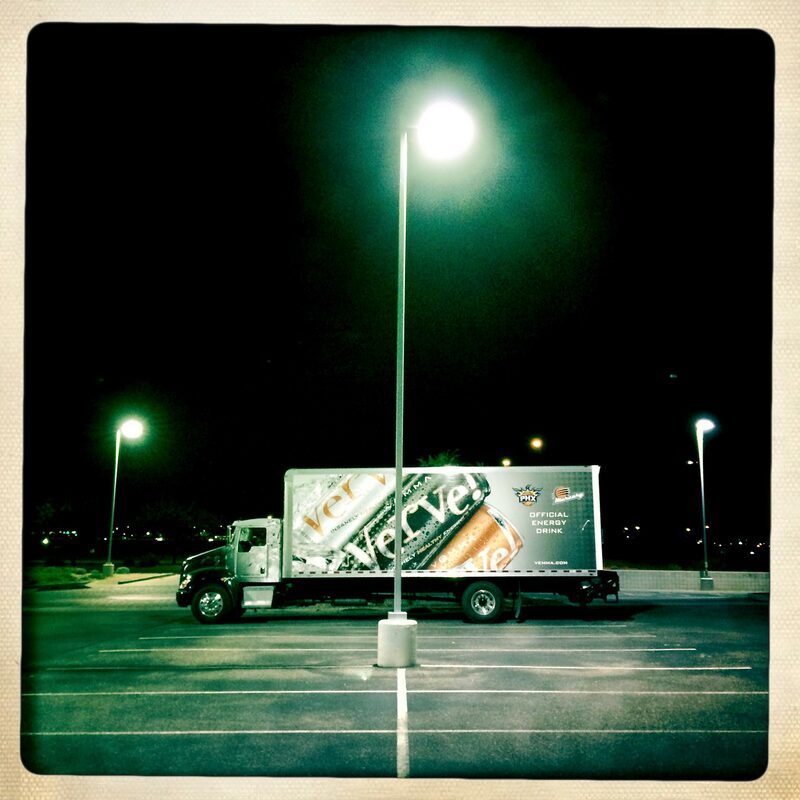 The Revanchist argues that to receive most commissions and bonuses (like the car), Vemma requires auto-deliveries of products. Multiple FTC complaints also accuse the company of using customers’ credit cards to charge for recurring monthly shipments they never requested. 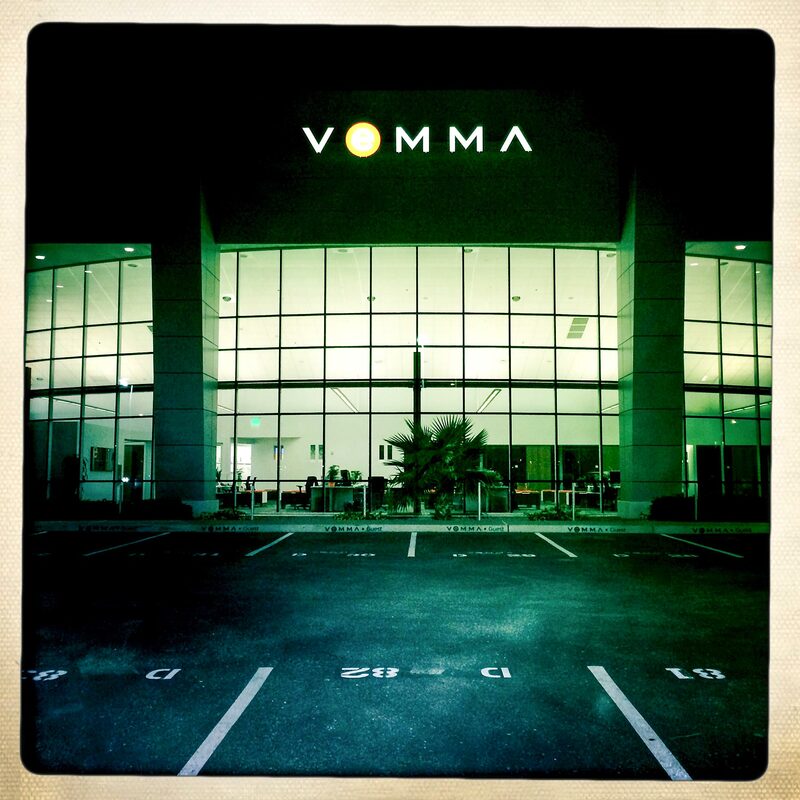 Just last year, a class-action lawsuit was filed against Vemma in California. Representing "tens of thousands of members," it accuses the company of charging customers for auto-deliveries of the products every month without consent. 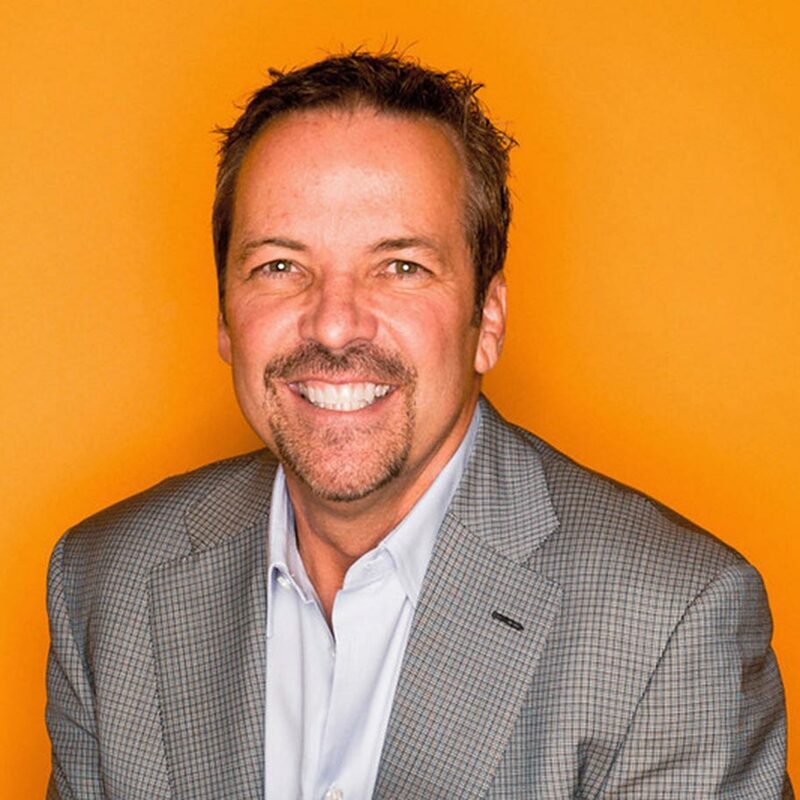 Vemma’s customer-service hotlines are intentionally understaffed, the Revanchist says, to make it more difficult for customers and affiliates to cancel auto-deliveries. He blogged about a culture of suppression and seduction and described how uplines extracted personal information — about problems with addiction, sexual assault, infidelity, terminal diseases — from new recruits, information used to guilt them into staying when they began having doubts or talk about quitting. "The promise of money made people share the darkest secrets of their family," the Revanchist remembers. "It made me a little uncomfortable." Encouraging youth to share their hardship stories, he says, became part of Vemma’s indoctrination. 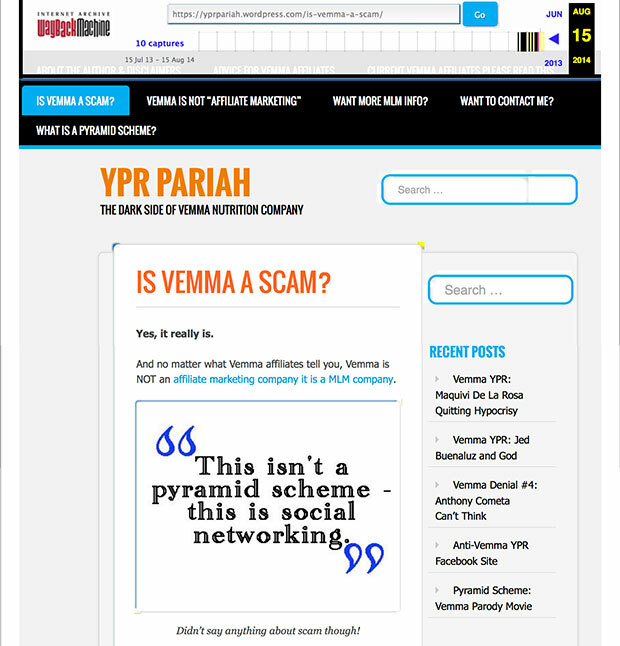 The YPR Pariah blog has been silenced, but a copy of the content still exists on the Truth in Advertising website. Click to view document. Under the microscope, Vemma has shifted gears, rebranding itself the "Young Professional Revolution," tempering its income promises and expanding abroad. Now Vemma affiliates tell prospects they’ll be able to earn $500 to $1,000 each month but that it’s possible to make a quarter million in a year. 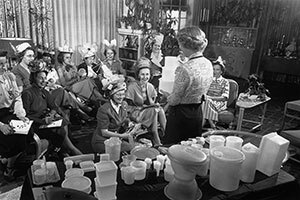 The entire multilevel marketing industry had been under intense scrutiny since financier Bill Ackman loudly and publicly accused Herbalife, one of the nation’s most well-known and controversial MLM companies, of being a pyramid scheme one and a half years ago. That a major Herbalife distributor, Anthony Powell, was hired by Vemma last January after his business practices came under fire didn’t help. Now, MLM firms are on the defensive, bringing on Manhattan PR firms and forbidding affiliates from speaking to the press about their business model and recruiting plans: More than a dozen Vemma affiliates questioned by Al Jazeera America expressed fears that the person who recruited them would be angry if they spoke to the press. Even colleges — once Vemma’s turf — are fighting back: Last summer, Dean William Keep at the College of New Jersey was notified of Vemma recruiters on campus from a student who had discovered stockpiles of energy drinks in his friend’s dorm room. "It’s a pied-piper message," Keep says. "If you follow me down this path, you’ll be driving a BMW in six months." And the evidence presented by the company is factually inaccurate, he adds, which means the students "can’t tell [the deck] is stacked against them because they don’t have the data and they don’t know how the other people succeeded." Although the direct-sales industry has ballooned over the last two decades, growing from 5 million salespeople in 1991 to 15.6 million in 2011, sales remained close to 1 percent of total retail sales in the United States. "We have this growing industry that isn’t really growing very much, but it certainly involves a lot of people," Keep says. To deter his students from getting involved, Keep sent them a warning email: "If the person recruiting you keeps pointing to the same few examples of success, perhaps the number of people who have succeeded is very low," it cautioned. As Vemma’s reputation has taken a nosedive at home, the company has increased recruitment efforts, sending ambassadors like Morton to recruit affiliates in Puerto Rico, Mexico and most recently in Colombia. On August 27, Nguyen and Castro attended a Vemma event to celebrate the company’s expansion into the Spanish-speaking market with about 80 other affiliates and prospects at the Tempe headquarters. Boreyko told the crowd that God was going to bless them. "Young people are known as the most socially connected market on the planet, but the Latino community is the most family-connected market," he said. "And you guys are here at the very beginning." Although she doesn’t speak Spanish, Nguyen was thrilled to pose for a photo with Boreyko. “It’s like a celebrity moment,” she gushes. During the monthly phone call in September — joined by high-ranked affiliates around the world reporting on the overseas expansion — Boreyko announced that Vemma was now officially operating in 51 countries around the world. But opening in new markets is not without its challenges. Last March, Vemma was fined $127,353 when Italy’s Competition and Markets Authority declared it a pyramid scheme because more than 80 percent of sales stemmed from selling “builder packs” to new recruits and auto-delivery of orders. Boreyko said Norway and Italy were "a little bit difficult" when it came to approving Vemma’s products for consumption or the company’s compensation plan for its affiliates. Colombia, the newest market, had required changes on Vemma’s labels. "If they ask us to modify anything, from our product ingredients to our compensation, they’ve got our attention," Boreyko said. As Vemma’s reach increased abroad, the readership of the YPR Pariah blog expanded till 30 countries were represented. As readers in Germany, Colombia and Mexico began reaching out for advice, the Revanchist said he hoped to get his blog posts translated to warn non-English speakers about the company’s tactics. "In Mexico, there’s no way to sustain a market. The kids there are really vulnerable," one reader wrote to him, he says. "If you’re poor in Mexico, chances are, you’re not bilingual." In August, all the content on the YPR Pariah blog was taken down. In its place was a brief message from "Vemma Home Office": "Anyone who republishes or redistributes content originally published on this blog may be subject to legal action. Any disputes or misunderstandings between the publishers or authors of this blog and Vemma Nutrition Company have been resolved to the satisfaction of all involved." Boreyko said he is "not aware of all the details" but that he "wouldn’t say Vemma had nothing to do with it." After Labor Day, Nguyen arrived at the company headquarters for a late night recruitment meeting. The frequent meetings were affecting her studies, she says. Nevertheless, she had invited a new prospect she had met, who worked at the Discovery store. A Presidential-ranked affiliate sporting red sneakers passed out notebooks and pens, sliding one down the table in Nguyen's direction. "One of the things they tell you is always use blue pens because that’s what rich people use," she says. The meeting hosts played an introductory video that opened with discouraging stats: Student-loan debt is now $1 trillion and 70 percent of workers hate their jobs. The film called Vemma’s products "naturally healthy and scientifically proven," based on four company-funded clinical studies. 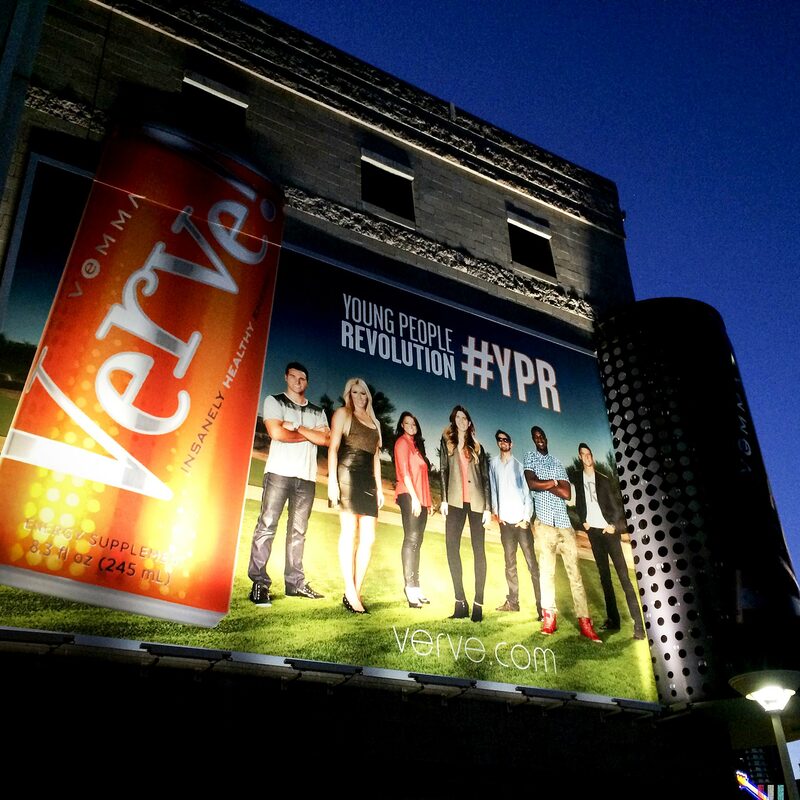 "It helps prevent cancer cells," piped up a skinny affiliate wearing a black suit jacket and T-shirt with the YPR logo. The Presidential affiliate told the group that within six months of signing up, he was making $3,000 a month and was able to quit both of his other jobs. He said he had a global team of 5,000 to 7,000 and that 150 of them earned $500 to $1,000 monthly. After the meeting, the affiliates shepherded their prospects to Bar Louie, a popular Tempe restaurant, for an extended sales pitch. Of the dozen affiliates, only two had been involved in Vemma for more than a couple of months. One of the newest affiliates, a nervous Arizona State freshman who wore braces and ripped jeans, was dejected because the prospect she invited had declined to join them afterward. The affiliate complained to her upline of a headache and he glanced up from the menu to ask how many cans of Verve — one of the company’s most popular energy drinks — she had consumed that day. When the waitress arrived, the members of the group asked about discounts and searched for online coupons on their smartphones while she took the drink orders — two beers and a round of waters for the mainly underage crowd. Most of the teens ordered the $5 burger special. Nguyen said she was broke and waved the waitress off. Her prospect expressed interest in the starter pack — but he had to save up the $500 first. The group daydreamed about the cars they planned to lease once they hit Diamond level, describing their fantasy rides in detail, down to the color of the interior. The Presidential affiliate patted Nguyen’s prospect on the back and advised him to tape a picture of his dream car on his wall. It would be good to have a reminder in case he started to feel discouraged. Eight people on his team had already gotten their cars, he said. In reality, 99.7 percent of the company’s active affiliates do not qualify for cars. 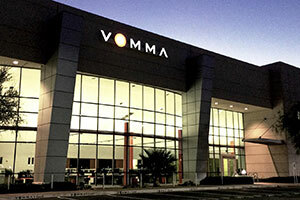 Of the 140,000 Vemma affiliates and customers, fewer than 300 have company cars, said a spokesman. After the meal, the waitress delivered separate checks and everyone paid for his or her own food, pulling out crumpled dollar bills. Some had shared a burger. Castro handed his upline $2, saying he owed her another single. The skinny affiliate in the YPR T-shirt, who was monitoring his teams’ growth on the Vemma app all evening, let out a whoop when one of his recruits signed up a newbie for a starter pack. That earned the affiliate points and brought him closer to the next level. He whipped around to face Castro’s upline, a woman who had also recruited him. Teasing her, he formed a pyramid with his arms to demonstrate his growing downlines, implying that the size of his teams would soon surpass hers. She laughed as she slipped Castro’s $2 in her wallet and responded, "Good! That’ll help me get my car faster." She wants a new Tacoma.